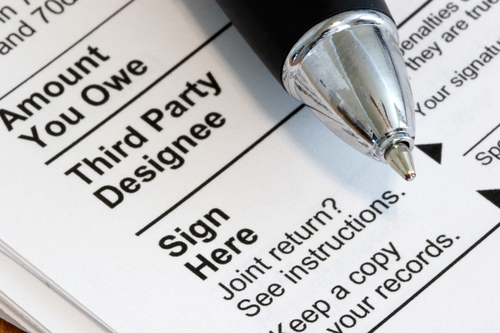 If the sum owed is less than $50,000, the IRS will accept monthly payments over five years. For example, if $6,000 is owed to the IRS, monthly payments of around $100 can be made. There are also laws in place that provide that persons unable to pay their taxes can be placed on Currently Not Collectible (CNC) status with the IRS and not have to pay their past-due income taxes. My experience with the IRS is that generally they are very understanding and helpful towards seniors with lower incomes applying for currently not collectable status. Seniors with especially low income can often obtain CNC status by simply phoning the IRS at the number on an IRA collection notice. You can ask the collector to file “53” on your case, which means filing IRS form 53 (only a collector or IRS official can do this). You will not need to file detailed financial paperwork. For example, a senior with a monthly income of $1,200 and rent of $600 obviously will have no extra income to pay any past-due taxes. However, you may be asked to complete a financial form that shows you do not have any surplus income after paying necessary monthly living expenses. This form, IRS 433-A can be found here. • The financial information supplied must prove to the IRS that the individual does not have any surplus income after paying their necessary monthly living expenses and that they have no significant additional assets. • Individuals may need to submit their bank statements along with this IRS financial statement and any other relevant financial documentation for review. • Look carefully at this web page http://www.taxdebthelp.com/hardship/requirements-uncollectible. At the bottom of the page are links to budget standards the IRS uses in determining whether a person qualifies for uncollectible status. • If you are going to apply by phone, carefully prepare a budget ahead of time that shows expenses within those budget standards that consume all your money so it is clear there is no extra money with which to pay taxes. • If applying by phone, the IRS collector might try to get to say that you can pay something when you can’t. Review on the IRS website the suggested budget numbers and national standards for where you live. Do not underestimate your expenses, which many people do. If you fit within the criteria, you qualify for CNC status.